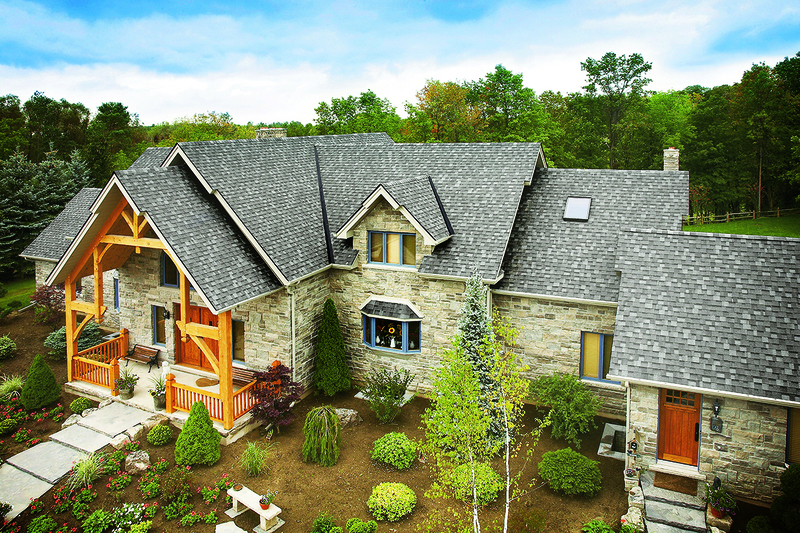 Of IKO’s architectural roofing shingles, Cambridge is the most popular and is available in a wide range of colors, as well as in IKO’s Cool Colors for select markets. 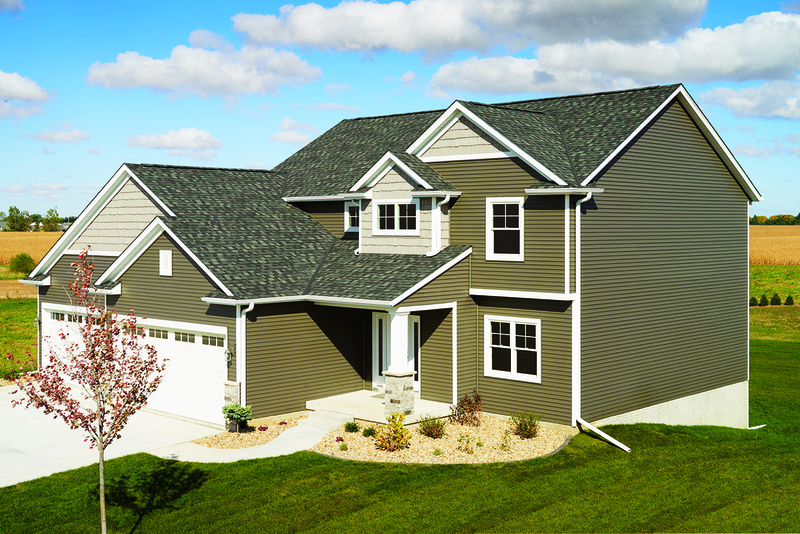 Cool Colors shingles are a laminate shingle featuring a coating embedded with granules that reflect more solar energy and heat than standard roofing shingles. There are four Cool Colors: Dual Grey, available nationwide; and Arctic White, Desert Gold, and Valley Oak, which are available in California and meet the California Energy Commission Building Standards Code, Title 24. 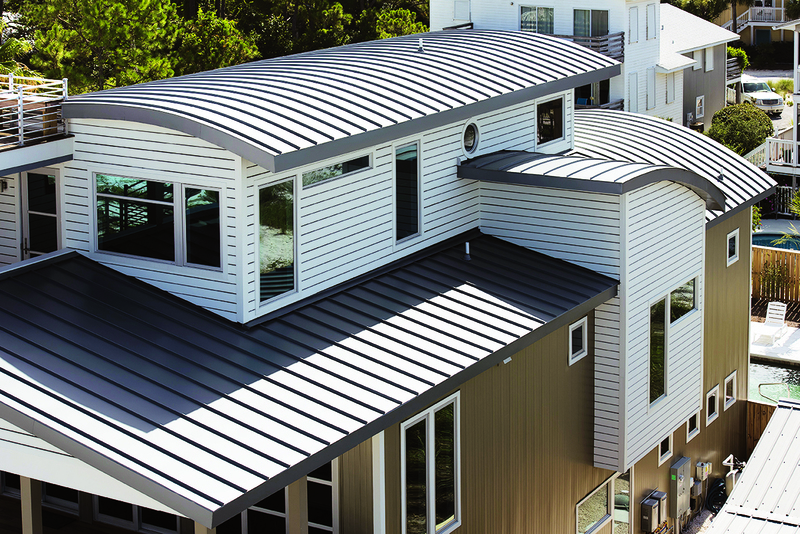 Petersen Aluminum’s PAC-150 standing seam metal roofing panels combine semi-structural metal panel performance with architectural roofing panel aesthetics. PAC-150 roofing coil is corrective-leveled to provide superior panel flatness. Maximum panel length is limited when factory or shop-formed but virtually unlimited when field-formed; minimum panel length is about 4 feet. The panels feature a 1 ½-inch leg height, which requires mechanical field seaming to either 90 degrees or 180 degrees depending on the roof’s uplift requirements. Panels have a concealed-fastener clip designed to provide maximum design flexibility. PAC-150 panels are designed for application over a variety of substrates and are available in a range of widths from 12 to 20 inches in steel or aluminum. 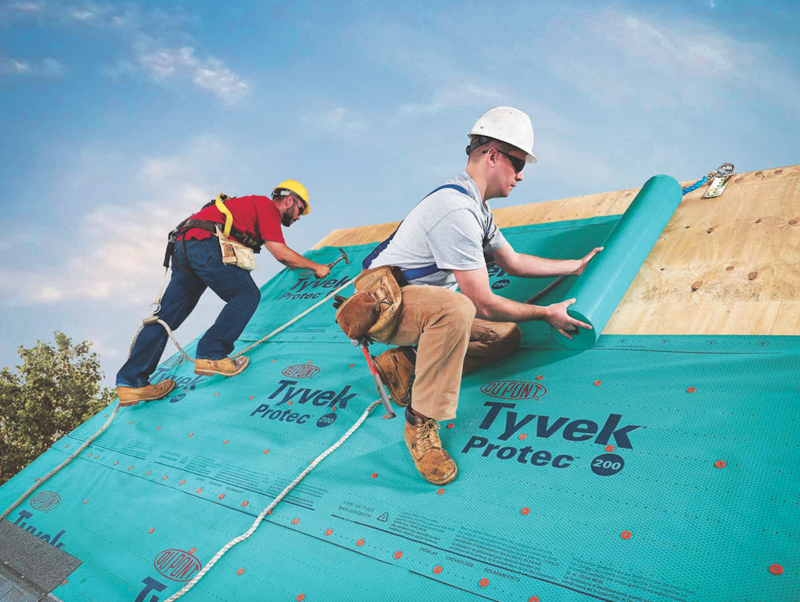 Tyvek Protec, DuPont’s line of roofing underlayments, is suitable for new construction and re-roofing as a secondary water barrier on steep-slope (2:12 or higher) roofs under tile, asphalt shingles, cedar shakes, metal, or slate. Three grades are available: 120, 160, and 200, each with increasing quality, durability, strength, warranty protection, and UV resistance. DuPont touts walk-ability as one of Protec’s key features, with good grip underfoot and to the roof deck. Protec can be installed in hot, cold, dry, wet, or dirty conditions and lays flat and is wrinkle-free for ease of installation. 11 color blends (Castle Grey, shown).